Toolz's #FascinatingJourney with Bryan Okwara Officiall continues to the Abu Dhabi Grand Prix Weekend Celebrations with Team @WilliamsMartiniRacing and you could join them! 1- Take a selfie with a Martini Rose bottle, upload the photo on INSTAGRAM using the hashtag #MartiniNigeria. 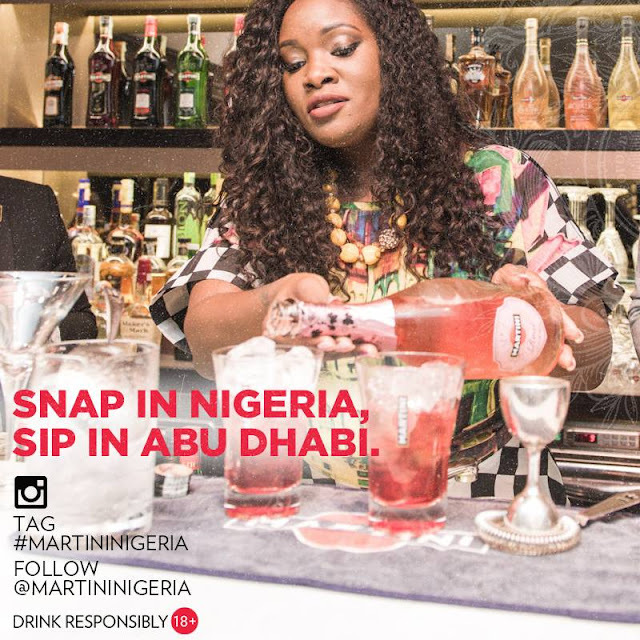 2- Follow @MartiniNigeria on Instagram. Make sure you set your post to public so we can track it. You have until November 6th and they will be picking the 2 best submissions.